Shutterstock/Tyler OlsonSit back and enjoy your flight on first class. Flying first class gives you the chance to enjoy a whole slew of perks, but the steep price of tickets can certainly be a setback. Luckily, there’s a way to enjoy those perks without having to shell out tons of cash: by getting a complimentary upgrade. 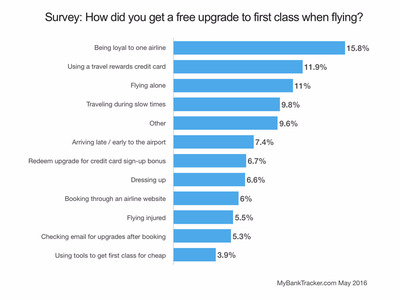 If you’re wondering how you can score a free upgrade, MyBankTracker — which assists consumers on making smarter banking and financial choices — recently conducted a nationwide survey on the subject. 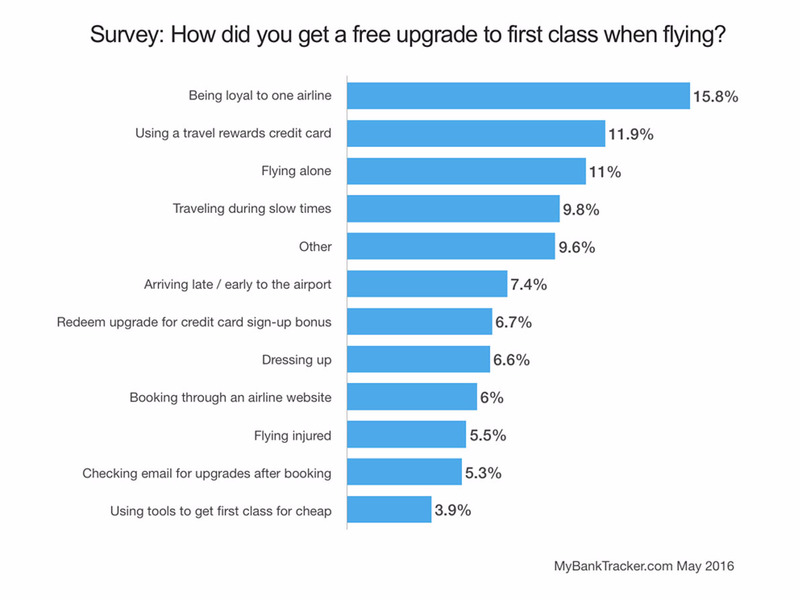 The company asked consumers to share the ticket upgrade methods that have been most successful for them, including remaining loyal to one airline and using credit-card sign-up bonuses. The nationwide survey was conducted through Google Consumer Surveys on behalf of the company in May, and it received over 3,000 responses. Here are some ways you can snag a free first class upgrade.